The duties and responsibilities of a social media manager are many. A good social media manager must be ready to juggle all sorts of job-related tasks and sport a non-traditional work ethic. Many work all day, some work all night and most, if not all, will have some type of social media activity going on both day and night. While the list of duties and responsibilities seem to be never ending, if you are passionate about what you do, it can be fun, exciting and very fulfilling. A good social media manager can make a great living doing what they love to do! Here are some duties and responsibilities that a social media manager performs. Work with each client to determine what their goals are for implementing social media into their overall marketing strategy. Understand who their target market is and then market to that group in ways that attract new customers. Respond to customer questions, concerns and complaints in a professional manner. Visit and post to other people’s blogs, social sites and so forth to develop new relationships. Track your activities, monitor results and report these to your clients. If the business is large, you might be required to work with other staff to integrate marketing activities. Learn about tools and applications that can enhance and/or automate social media activities. Search for new social media channels and digital media projects that would be beneficial to clients. 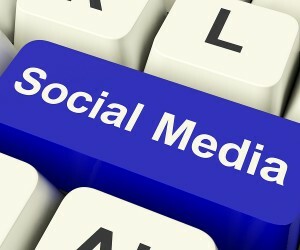 The duties and responsibilities of a social media manager are far and wide. You will find that some clients may require a lot from you including much hand holding and guidance. Others will come with more knowledge and a basic plan from which to build upon. How much help each client needs depends on how much knowledge they have from the onset, the individual social media campaign and the results they are looking for. For the reason above and many more, it is extremely important to understand your client’s needs, goals and target market. Keeping track of current social media trends and tools available will help you develop effective campaigns. Tracking results will allow you to fine tune campaigns that meet your client’s individual needs.